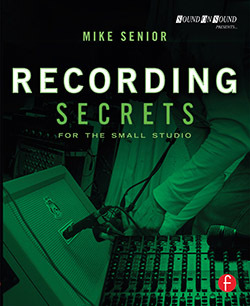 Join the 'Small-studio Secrets News' mailing list! 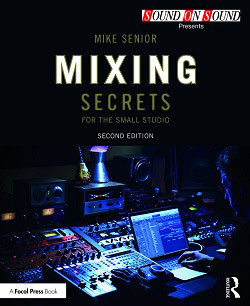 This site includes a huge range of free mixing and recording resources to support Mike Senior's books Mixing Secrets For The Small Studio and Recording Secrets For The Small Studio, and these continue to grow as we add new uploads to the multitrack and mic-position libraries, extra audio examples, additional plug-in/article links, and more. If you'd like to stay up to date with the latest changes, then just sign up using the form below. We'll only mail you when new free resources become available (typically once per month), and your email address will not be used for any other purpose or passed on to anyone else. We hate spam as much as anyone! If you have any problems subscribing/unsubscribing, then just drop us a line. Please subscribe me to the 'Small-studio Secrets News' mailing list. I no longer wish to receive mails, so please remove my address from the list.